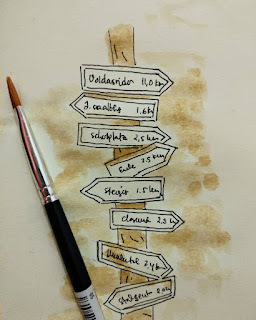 Coffee Sketching 5 : Where should I go? 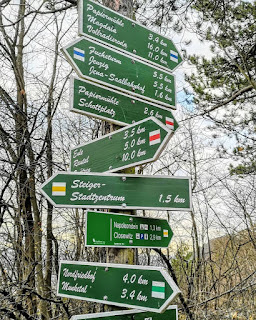 I have been away from steemit for another 2 weeks, wait more I mean. It’s been hectic days with exams and final project. The same goes for sketching. I had planned to keep learning, but it wasn’t convenient enough to sketch after long tiring day. And here it is, I am starting from the scratch again, sketching from zero. My hans couldn’t even draw as previously done. 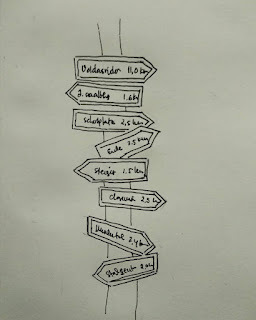 So again, I tried to sketch the sign of the road. First I found the picture and create the simple sketch, before coloring it with coffee. In this case instant coffee.